A new series of hybrid 2-Quinolinone derivatives were synthesized and structurally proved using spectral and elemental analyses data. All the prepared compounds were tested for their in vitro cytotoxic activity against MCF-7 cell line. Compounds 6 and 8 showed potent anticancer activity, which were comparable to Doxorubicin as reference compound. While compound 3 was comparable to cisplatin. Cell cycle analysis of compounds 6 and 8 showed cell cycle arrest at S and G2/M phases of the cycle and induced apoptosis at pre-G1 phase. DNA synthesis inhibitory activity demonstrated that compound 6 showed equipotent activity to Doxorubicin. The extent of apoptosis was also determined using Annexin V-FITC assay. In addition, compounds 6 and 8 increase the activation of effector caspase 3 by four fold more than untreated control. On the other hand, the localization of compounds 3, 6 and 8 were found in the nucleus. 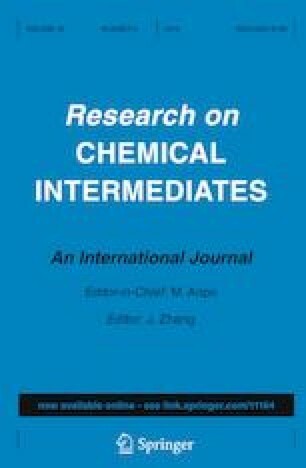 The online version of this article ( https://doi.org/10.1007/s11164-019-03827-y) contains supplementary material, which is available to authorized users.